The brigade was formed in September 1943 on the initiative of the liberal landowner Bonuccio Bonucci in San Faustino, near Pietralunga, from which it takes its original name, Brigata San Faustino. On February 1944, Bonucci and the executive group of the brigade were arrested because of a tip off of a spy. The command of the brigade was then taken by the official Mario Bonfigli, called “Mefisto”, who was replaced in April by Stelio Pierangeli, “Geo Gaves”. The political commissioner was the communist Dario Taba “Libero” from the Brigata Francesco Innamorati of Perugia. The political leaning of the brigade, which was before liberal and supported the General Badoglio, moved to the left wing and it also changed the name in Prima Brigata Proletaria d’urto. The Brigade gave shelter to the American consul Walter Orebaugh, who then became a member of the executive group which collaborated financially and with launches of food and weapons after having achieved the Allies in April 1944. The military activity of the Brigade was very limited for the entire period of the occupation by the chronic shortage of weapons and equipment, by the poor preparation of the executive group of the CLN of Perugia (constituted only in December 1943) and by the extreme independence of the various groups that formed it. For a long period, the Brigade limited its action to sabotage, attacks the provisions for the distribution of food to the population and ambushes against small German and fascist patrols. 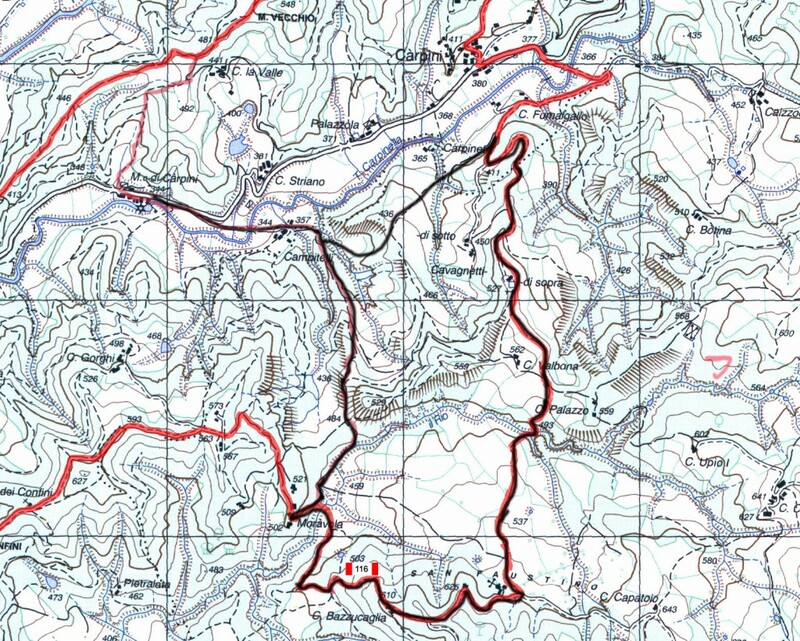 In the second half of April, as a result of repeated attacks against the barracks of the Guardia Nazionale Repubblicana (GNR) and of the Carabinieri, the Brigade succeeded in forming an autonomous freed area with the town of Pietralunga in the middle and proclaimed it officially on 30th April 1944. After a few days, since May 7th, the area controlled by the Brigade was subjected to a heavy raking, in the course of which seven boys were shot in the central square of Pietralunga. On May 9th, the war hero Venanzio Gabriotti was shot without trial in Città di Castello: a gold medal for military valour was given to him due to his help in organising and maintaining contacts with the partisan bands in the area after September 8th. At the end of May, this area was controlled by the partisans without interruption until the time of passage of the front in July 1944; during this period, the Brigade helped the allied forces to advance and provided men for public order maintenance.